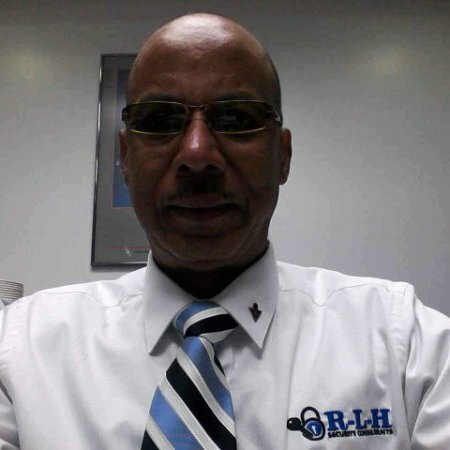 CARICOM intelligence officials ponder a revolutionized hemispheric drug trafficking method that provides a daunting internal security challenge. An ambulance’s special “emergency vehicle” status and first responder classification (siren and flashing lights) are exploited to conceal illegal drug movements, activated siren and emergency lights generally ensuring express passage through national security/law enforcement check points. Three years ago the United Kingdom’s National Crime Agency (NCA) dismantled a transnational crime network that trafficked £1.6 billion worth of cocaine and heroin using fake ambulances. According to NCA data the narco ambulance fleet completed forty-five trips in fourteen months. On June 16, 2015 NCA agents monitored one particular ambulance that travelled via Harwich Ferry Port on England’s east coast to Smethwick, Birmingham in West Midlands. The NCA agents discovered that two Dutch criminal masterminds outfitted masquerading paramedics and fake patients, to transport £420 million worth of A Class or Top Quality drugs via ambulances. Drug shipments were placed in six “hides” behind metal-riveted panels. Ambulance drivers armed with letters from Dutch “patients” transported to London hospitals for treatment. The cocaine’s market value was £30 million, the heroin portion worth £8 million. The illegal drug bonanza included sixty thousand ecstasy pills, a Moorside Business Park, Colchester industrial unit used to transfer the drugs from ambulances. In Italy a State Police operation called “Revenge 5” exposed the “Cappello-Bonaccorsi mafia clan’s use of ambulances to shuttle cocaine around Sicily’s second largest city Catania. The ambulances moved drug consignments thru San Cristoforo, Monte Po and Berillo Nuovo communities. South American traffickers have incorporated ambulances, loaded with drug consignments, in their Paraguay/Argentina border crossings. The trickery was unknown to Argentine authorities until November 2014. On November 7, 2016 Argentine Customs Officers, on duty at San Roque Gonzalez de Santa Cruz international bridge, stopped two hundred and fifty-seven kilos of marijuana. The consignment hidden in an ambulance stretcher, used to move a patient with a “heart condition.” Investigators found the ambulance’s journey covered more than one thousand kilometers with its “cardiac emergency” aboard. On April 14, 2017 Argentine Federal Police (PFA) officers detained an ambulance driver, one orderly and a fake patient. The emergency vehicle crossed General Belgrano Bridge that connects with Chaco province in northeast Argentina. The ambulance carried four hundred kilos of marijuana destined for Santa Fe. PFA officers stopped two other narco-ambulances. One travelled thru Corrientes the other via Formosa, on the banks of the Paraguay River, twelve hundred kilometers from Buenos Aires. The two ambulances each smuggled five hundred kilos of marijuana. 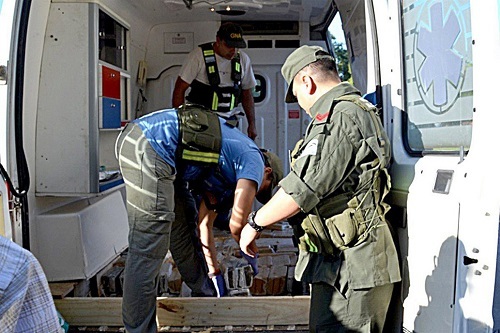 In three years Argentine law enforcers stopped ten narco ambulances. At one point two emergency medical transport vehicles were intercepted in forty days. On April 12, 2018 PFA officers detained three paramedics. An eight month PFA investigation climaxed with the paramedics arrests, plus seizure of four hundred kilos of marijuana concealed in a modified ambulance compartment. PFA officers arrested a bogus “patient” who travelled from Corrientes to Rosario and Santa Fe, as completion to the illegal trafficking scheme’s optics. On May 24, 2018 eighty-five kilos of marijuana were hidden in the chassis of a SIPEC or Emergency Department of Formosa province ambulance. When Argentine law enforcers intercepted the ambulance its siren and flashing lights were active, as the vehicle transported an injured girl to surgery at Garrahan Hospital in Buenos Aires.